Do you own an air conditioner? If you have one then you should know which mode is good for you. It is recommended that you understand your machine so that you make most out of it especially when it is extremely hot. 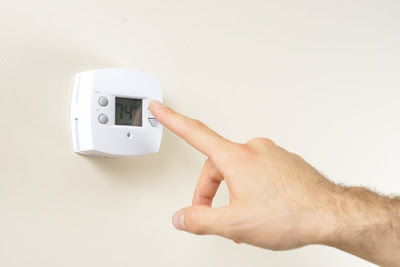 The cold conditions can be countered using your air conditioner and alternatively putting on warmer clothes. On the other hand, hot weather can only be dealt with using quality air conditioners because removal of your clothes has its limits unless you are a nudist. A top-notch device will supply you with cool and clean air in your office or home. It is thus important that you understand how to use all functions especially the dry mode. Do you have difficulties in differentiating between cool mode and dry mode of your air conditioner? Please do not worry because you are not alone and they rarely feel different to some extent. However, the two are very different in terms of their functions as well as results. A simple distinction check can be done using your remote control. There is a clear water drop symbol that on the remote for the dry mode while the cool mode is frequently represented by a snow flake. It is worth noting that the dry function is not found on all air conditioners. 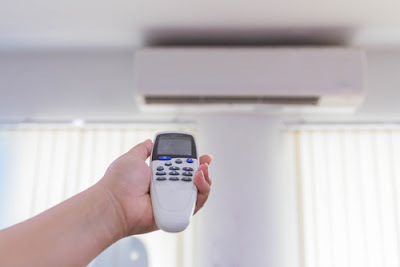 The window units and your centralized air conditioning units are the most likely area that will have air conditioners with a dry mode function. Its main aim is to make sure that your office or home has a standardized humidity content. This is set to work in such a manner because increased humidity increases temperatures. It is an effect that can be felt even in relatively low temperatures. The basic functioning of the dry mode is reducing humidity that in turn reduces temperature. Whenever it is humid due to rains or any other reason, you should have a machine with this mode. Such times do not have extremely hot temperatures that necessitate the use of cold mode. However, the humidity amount is very high and at times irritating. It is advisable that you comprehend the fact that your dry mode is not targeted at removing all room moisture. When you set your air conditioner in dry mode all its internal components will start working including the fan. The cold air is not blown out in the process by the system. Your room air is passed through the air conditioner and the evaporator condenses all available water vapor. There will be inflow of dry air back to your room after exiting the unit. The dry mode's operation is similar to that of a dehumidifier. Moreover, in case you are on need of a standalone dehumidifier then a visit a local hardware store or a home improvement outlet. This will enable you to get the type of machine that best suits your needs. It is always an alternative for those of you who operate in larger rooms mostly at work. They are better because an air conditioner in dry mode only removes a fraction of the moisture in the area you occupy. •An increment of moisture in your room will increase temperatures thus the air conditioner is switched on. This can be manually or automatically. •Air is sucked in by the running fan. •Humidity is condensed by the compressor. •Temperature drops back to the set 250 C.
•The compressor and the fan stops working. •Temperatures start to rise with the rise in humidity. •The temperature reaches 260 C thus prompting the air conditioner to start working. •The cycle is repeated depending on temperature dynamics. The cool mode is usually the default mode that your air conditioner runs on. 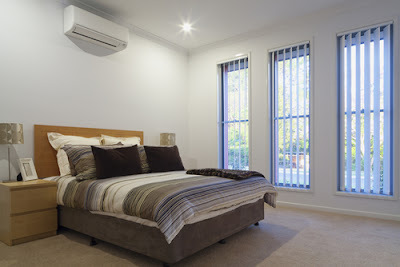 The mode usually relies on the inbuilt system compressor to bring about the cooling effect to your residential or commercial place. It is recommended that you set your desired temperature as well as fan speed for your machine. These are the simple requirements of the default settings. After the room has attained the set temperature, the compressor will automatically stop but the fan keeps on working. The continued fan operation ensures that there is even distribution of cool air. It is also a process that regulates room humidity. However, your cool mode is not able to maintain a particular humidity level. To add to that, the mode has the ability to consume most power when compared to the dry mode. This is definitely the cause of an increase in your electricity bill because you will be tempted to leave the machine running or you might forget to switch it off. To reduce its effects on your hard earned money and at the same time enjoy its comfort you are advised to set the temperature at around 25 degree Celsius. In addition, after knowing how the two modes work it will be good if you start a habit of using your air conditioner properly. This can be done by running it in the most appropriate mode based on the prevailing room humidity and temperature. Which is the better mode? •Low moisture-The lower the moisture in your room the lower the temperature. Furthermore, lowered moisture reduces moisture related irritation. •Comfortable temperature-Comfort is not only derived from cooling. This can be achieved using your air conditioner's dry settings. •Energy saving-The amount of energy your appliance consumes has a bearing on your way of life. It can stretch your budget limits or help you to be within your budget constraints. The dry mode is energy efficient compared to the cool mode. Please note that the dry mode will not cool your room. The cooling effect from this mode is due to excess moisture removal and not the room cooling in real terms. Use it to live in a comfortably cool environment and at the same time save some coins. In conclusion, your air conditioner is a great investment whenever you are in Singapore or touring the world. It will help you reside in an environment that you want. Its great use is a wise adventure to undertake. Purchase one from a local store or from credible online entities today. Your room environment will never be the same as you ponder about which mode is great for you.